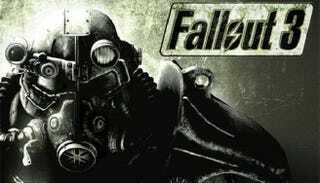 With the third installment of Fallout, Bethesda, who picked up the rights to the games from Interplay, made significant changes. The most noticeable ones were the introductions of a single, vast 3D environment and real-time combat. From a narrative point of view, though, the biggest alteration was the shift to focusing on a few important moments to heighten the drama. Here are the three that stand out the most for me. At this point in the game, the Enclave were merely a pleasant-sounding, albeit highly ominous, group that promised to restore the US to its former glory. The various radio broadcasts of President Eden even included references to bringing back baseball and parades, which are not that necessary given that people need food, water, and the chance to not be horrifically mutated or murdered. It comes as a huge surprise midway through the game when you meet them face-to-face. You had just gotten the Garden of Eden Creation Kit (G.E.C.K.) to help make the water purifier work when all of a sudden, a high-tech flashbang grenade drops out of nowhere and knocks you out. As you begin to drift into unconsciousness, you see the Enclave soldiers, the boogiemen from the radio, in real life, preparing to take you to their base at Raven Rock. It’s a shock to the system as you had no inclination that the Enclave were tracking you, just a few footsteps behind, and they totally get the drop on you. Up to this point, you were an unstoppable force, and then these folks come in and just wreck you in an instant. It reminds the player that there is more to the game and that there are more challenging enemies in store for them. At the end of the base game, you have the option to go into the purifier and sacrifice yourself to save everyone in the Capital Wasteland. It is the emotional culmination of the game, and it’s built upon the relationship between the character and their father. The verse from Revelations is a recurring theme that is a little on the nose, but it does accurately encapsulate the enormity of your father’s work, and gives the player some emotional heart-string tugging. You die a hero of the people by trading your life for theirs, and you walk in your father’s footsteps to do so. Sure, there are other ways to handle the situation, especially if you have Fawkes as your companion (Super Mutants love radiation), but even the game will call you out for basically ruining the emotional crescendo that’s been built up since the tutorial stage. When it is performed in full, it is a lovely callback to your family’s heroism, and showcases the best of what humanity has to offer. Ah yes, the most adored and talked about moment in the game, if not the entire series. Up to this point, your character has only seen the soft glow of florescent lights and never the actual sunshine itself. Once you get past the vault door, the shift in lighting momentarily blinds you and your eyes have to adjust. When they finally get acclimated, you see the full scope of the devastation of the Great War. It was a watershed moment for the series, because until then, the ruins of the Old World were somewhat cartoony and only shown in a top-down, isometric view using highly pixelated graphics. With the updated art and addition of the first-person point of view, it really put players in the dilapidated Wasteland and allowed them to experience it in a much fuller way. The flash of light and focus adjustment was a powerful way to introduce players, both new to the series and Fallout die-hards alike, to this hellish new world and it was truly inspired.